My Heart is Racing, Pounding! My ears are RINGING! No, I’m not having a heart attack. The contractors are taking the two sets of sliding doors down between the “old” living room/dining room and the new Florida room. I think a little onomatopoeia is appropriate! Different from the insulation guys. They were so quiet I never even heard them! The Electrician—where, oh where, to place the electrical outlets and new switches? 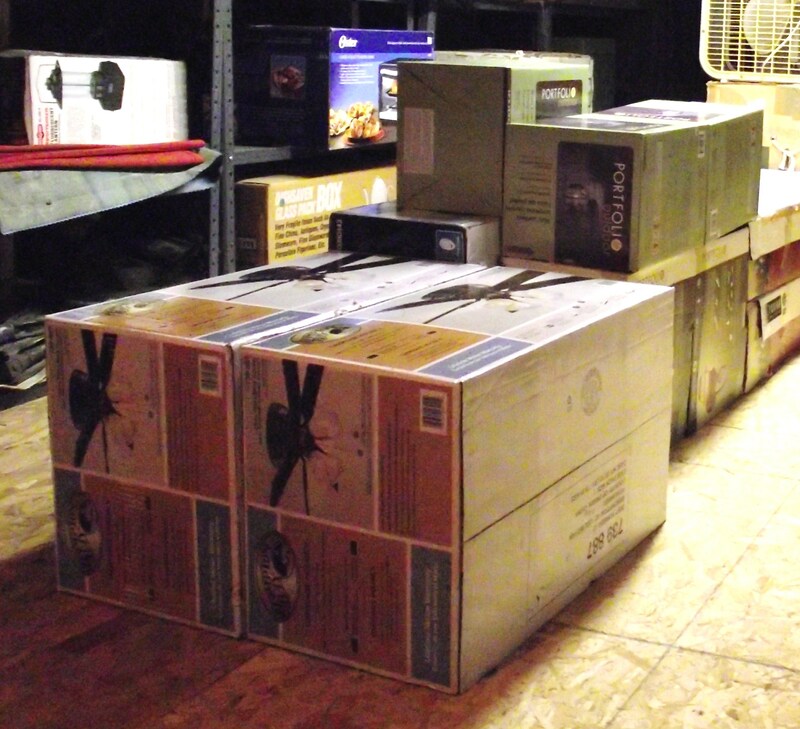 The Air/Heat guy—which ductless AC/Heat unit will fit code, and where will it be placed? 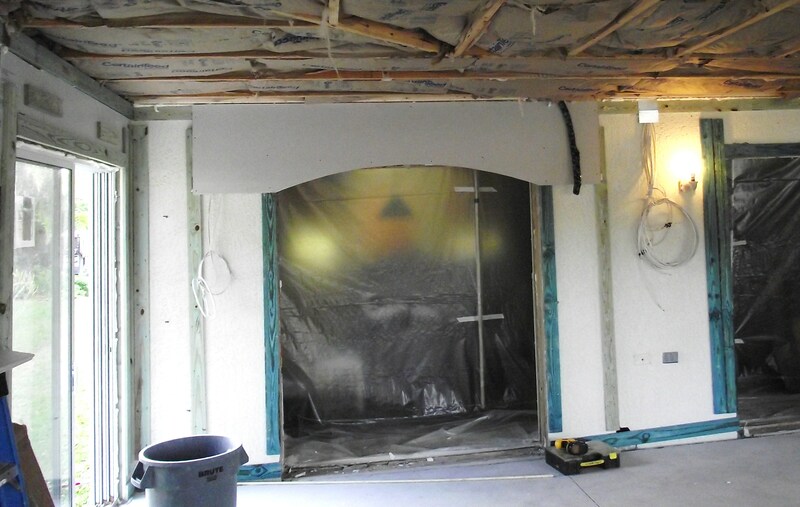 The Sheetrock guys—how low do we need to go for the arch over the openings (where the two sliding doors used to be) from the “old house” to the “new addition.” We decided that the “old arches” (in the rest of the house) aren’t uniform, so no need for the “new arches” to be! They are putting these in NOW! The new garage back door looks good, even without paint! This one has a window and screen so that we get cross-ventilation in the garage all summer. Whoopee! They are sheet-rocking the lanai now! 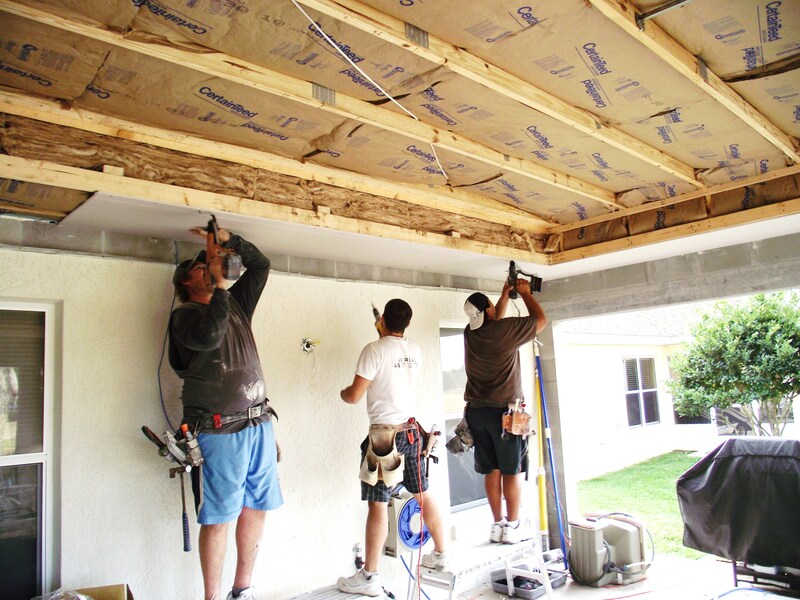 According to the plan, they will finish putting up the sheetrock in the Florida Room this week. 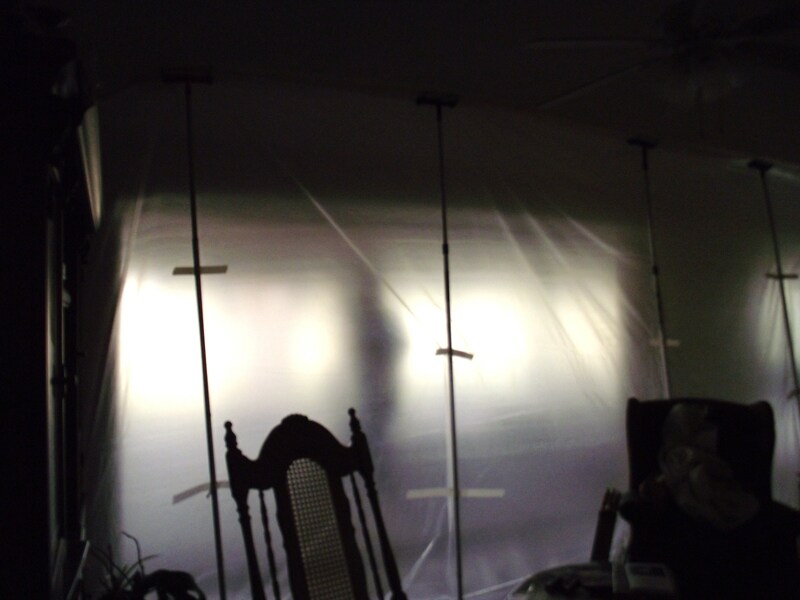 Then it’s brick laying, plaster, finish, paint and clean up—the plastic sheeting must stay up for about two weeks, or will it be three? Time we started thinking about how we will furnish the new space, too. It surely is much larger than I envisioned. Ah! Another shopping expedition in the works, I think! Stay tuned. This is going to be good! I am tired just reading this MLS! No wonder my own house is so unrenovated. Ah-ha! a solution. And I need one – they are at it again today!! Ahh, the joys of house renovation. 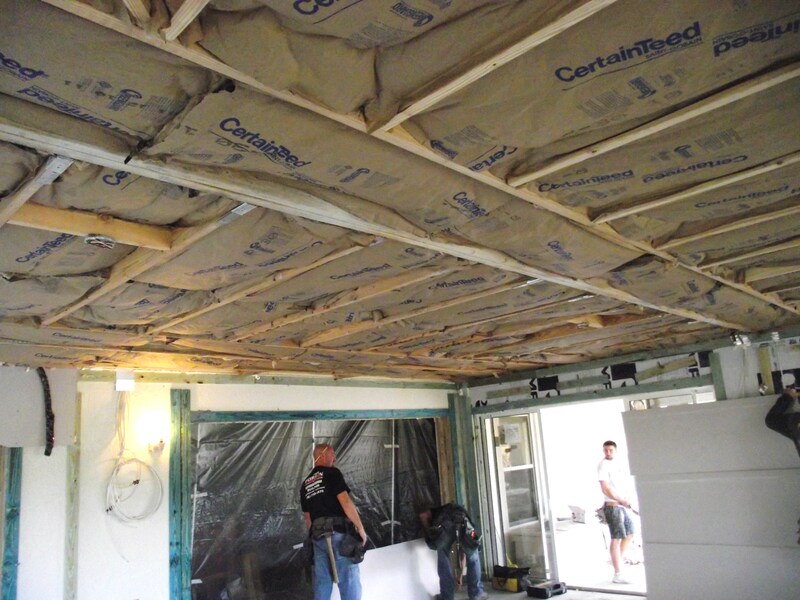 You are currently reading A Day in My Renovation Journal at my other zone.